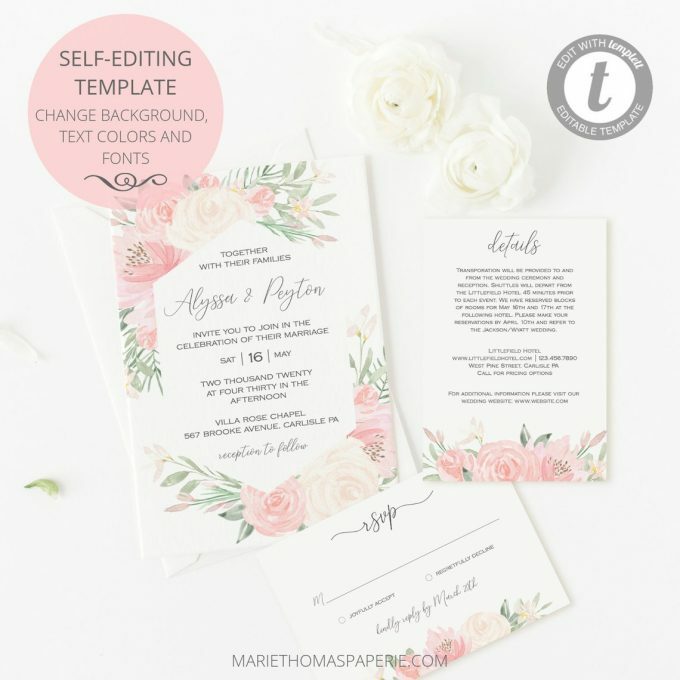 Home | Printable Wedding Invites: Edit + Print ‘Em Out! Ever wondered where to buy printable wedding invitations? Maybe you’ve wondered if it is easy to edit a wedding template or print at home wedding invitations. You’ve come to the right place! We’re helping you out with everything you need to know about this cost-effective stationery option. 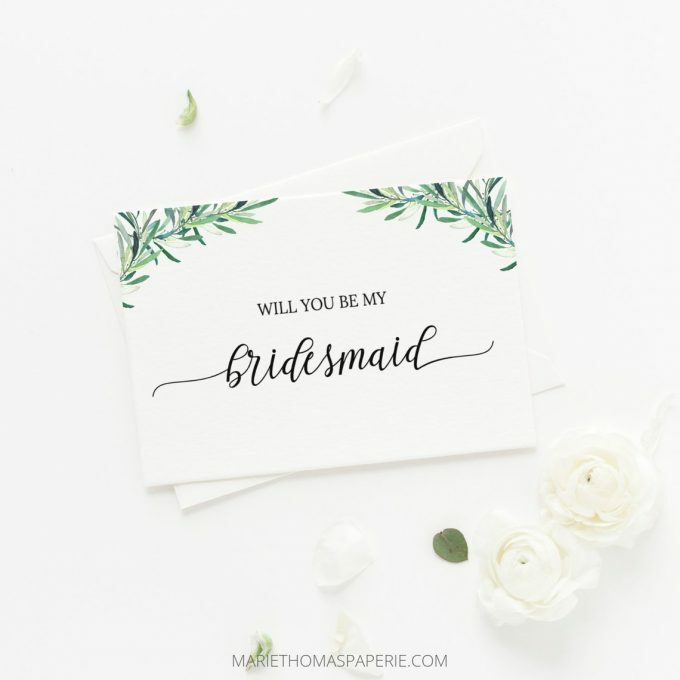 When I helped a bride-to-be, Shanna, with print at home wedding invitations earlier this year, there were a few questions she had right off the bat. Perhaps you have the same questions, so we’re here to help. As an example today, we’ll show you printable wedding invitations by the lovely Marie Thomas Paperie. You’ll see many design examples and some suggestions they offer for wedding invites printable at home or local print store. Enjoy! 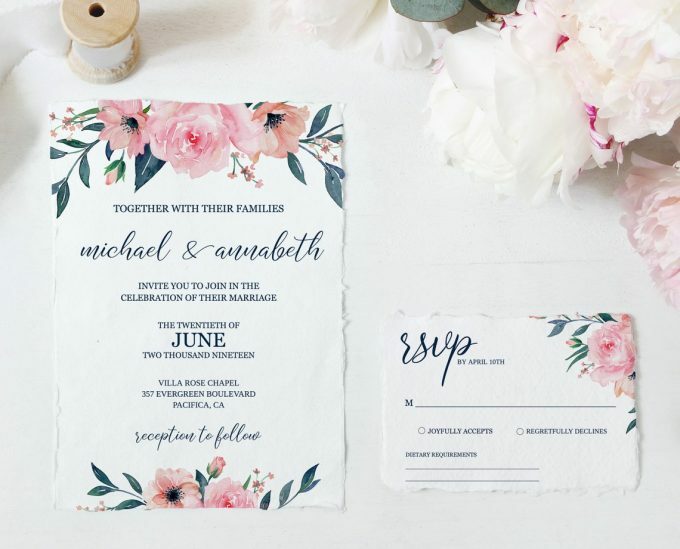 For starters, let’s talk about why some couples choose printable wedding invitations. You can print wedding invites on your own home printer, if you like, or head to your favorite copy center. This is helpful if you want to need to print a few additional invitations or you want to save on costs of printing and source it yourself. You don’t have to pay shipping on the invitations once they’re printed, since the file is delivered digitally via email. Printable wedding invitations are a favorite for DIY brides! You can add accents to your invitations with do-it-yourself flair with printable invites. 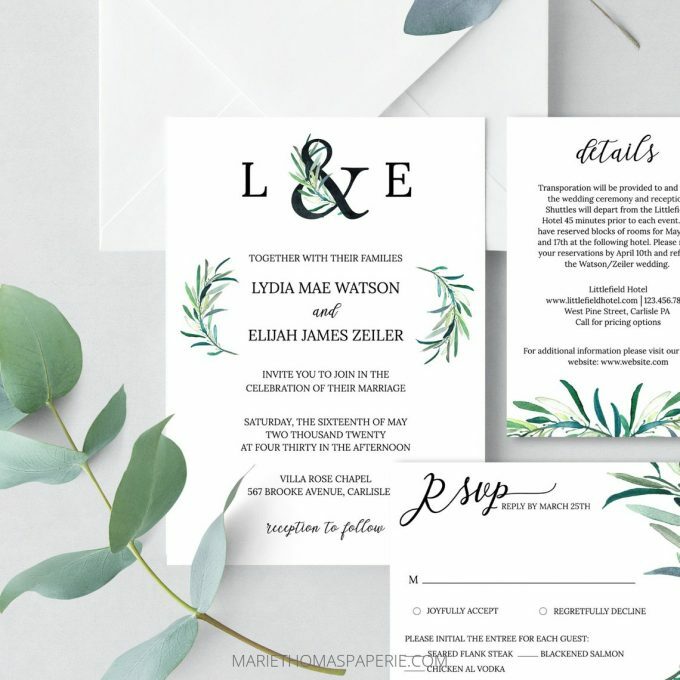 Print invitations on your choice of cardstock in any color you’d like; you may also choose your envelopes and colors, add ribbons (I love this linen right now), focus on your calligraphy, embellishments, etc. Are you behind on schedule and need wedding invitations mailed RIGHT NOW? That’s one benefit of printable! You can order and obtain an editable template right away, so you can get those invites printed. 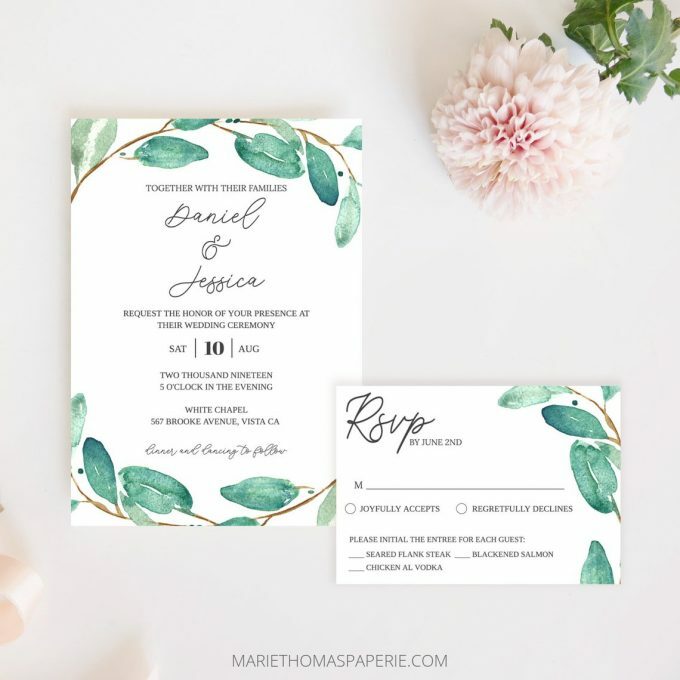 – Are print at home invitations easy to edit yourself, even if you’re not tech savvy? 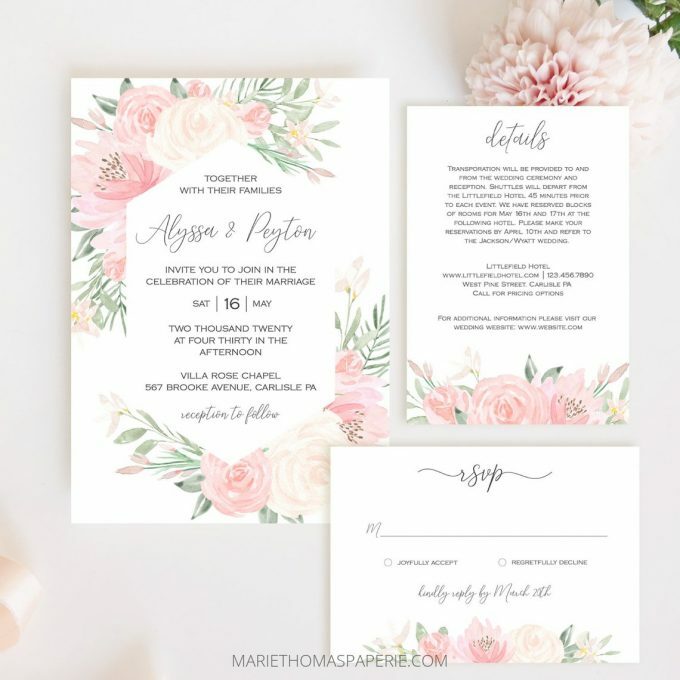 – Are these wedding invites printable at any print store? YES! 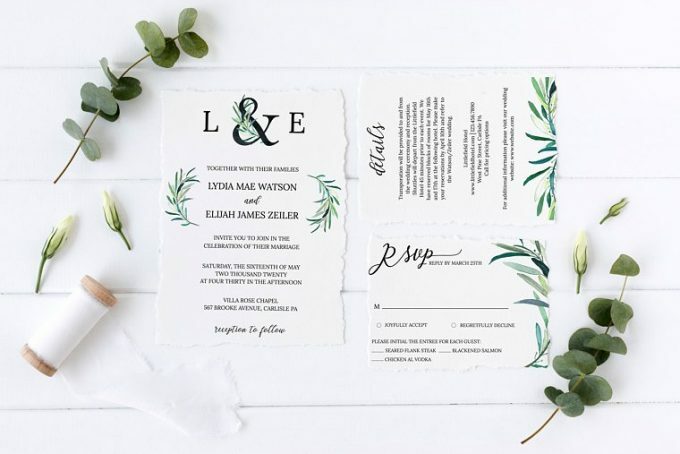 These wedding invites can be printed at home with your own printer; if you’re not extremely savvy with your printer, we recommend going to a copy center i.e. FedEx Office, Kinko’s, Staples, OfficeMax / OfficeDepot, or photo lab such as CVS or Costco. 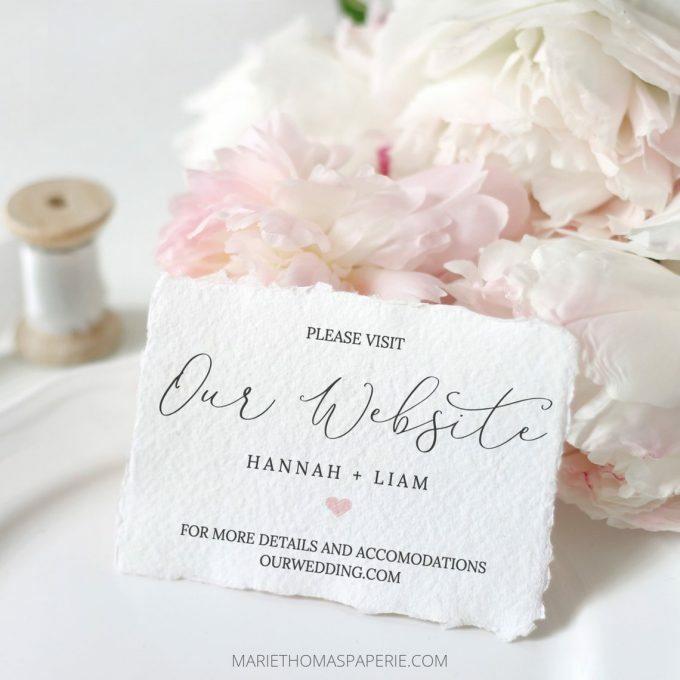 – Can you buy stationery other than printable wedding invites? YES! Wedding invites aren’t the only printable available; you can buy matching products from bridal shower invites to be my bridesmaid cards, all print at home! Let’s take a look at examples of printable wedding invitations to inspire you. If you want to see more about printable invitations, check out the shop! There’s other printable stationery finds available including save the dates, thank you cards, inserts, and more. They’re wonderful to work with and the designs are gorgeous! This is a sponsored post. However, as with all posts, we wholeheartedly love the brand or we wouldn’t promote it to you!